To tell you the truth, protein powders just do not go down well in my house. My tummy doesnt like them. Hubbs is the one who eats protein bars or smoothies, needs them after his workouts, and now hikes and climbs for training to summit Mt Rainier and also does well on them. But, he is very picky about the taste. There are only certain protein bars that he likes. Powders only in intense flavored smoothies are all right, otherwise they get dumped. I tried the Plant Fusion powders in some things. Hubbs loved the bars and and Lassi Smoothie. He was not happy that I changed the cookie under him. He wants that cookie recipe untouched ;). The Lassi was my favorite. Blending gets everything blended up very well and the strong strawberry masks any flavors or textures that might otherwise be off-putting. What I like about these protein powders are they are free of gluten and soy and have amino acids. The protein powders are made from quinoa, amaranth, yellow peas and artichoke. 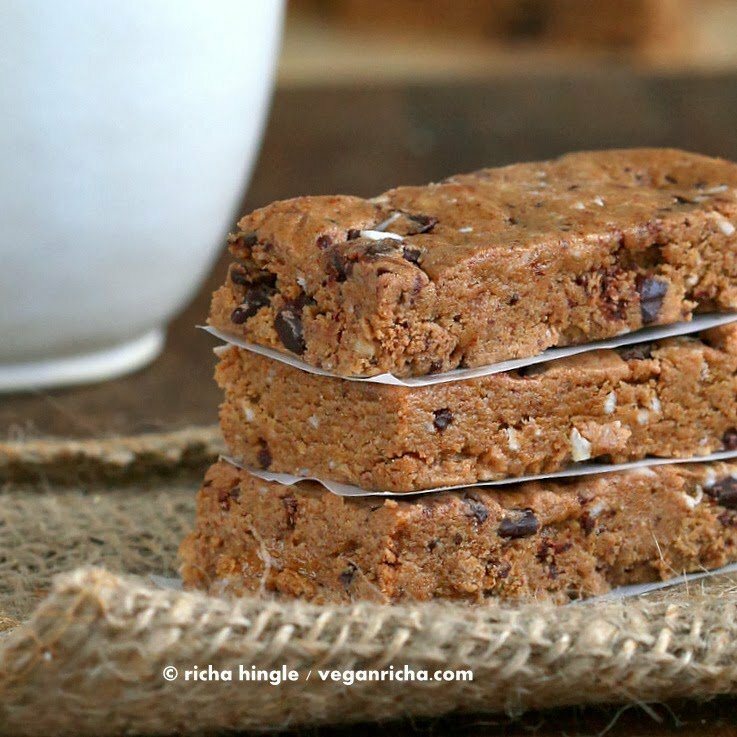 Keep these No Bake Almond butter chocolate chip protein bars around for a quick snack. In a bowl, mix the almond butter, protein powder, vanilla extract, maple syrup and salt. Mix well into a smooth dough. Add the chocolate chunks and coconut flakes. Less or more to preference. Combine well. Press the dough into plastic wrap lined bread pan. Even it out and refrigerate for an hour. Cut and use. You can also drizzle the bars with melted chocolate or coat one side with melted chocolate and sprinkle coconut flakes all over. Or make them into protein balls. I made Strawberry Lassi Smoothie with the cookies and creme and vanilla flavors. Put everything in a blender and blend. Taste and adjust sweet and water content for preferred consistency. Drink up. I also used some vanilla in the Mango Lassi Smoothie. Some of the vanilla ended up in my Ultimate Chocolate chip cookies. 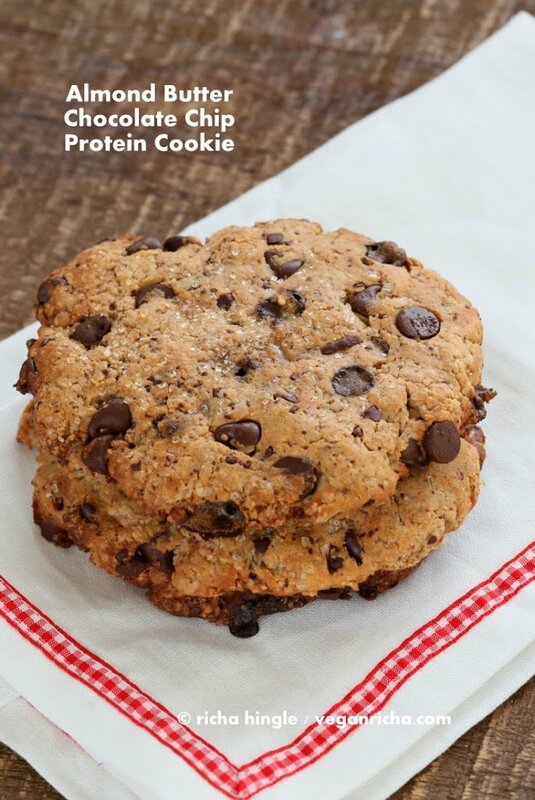 My Giant Chocolate Chunk and chip Cookie recipe with 1/3 cup cookies and cream powder. Add 3/4 cup flour + 1/3 cup protein powder and make the dough. Add more flour if needed. and follow the recipe and bake at 350 degrees F instead of 375. Every morning in my smoothie! 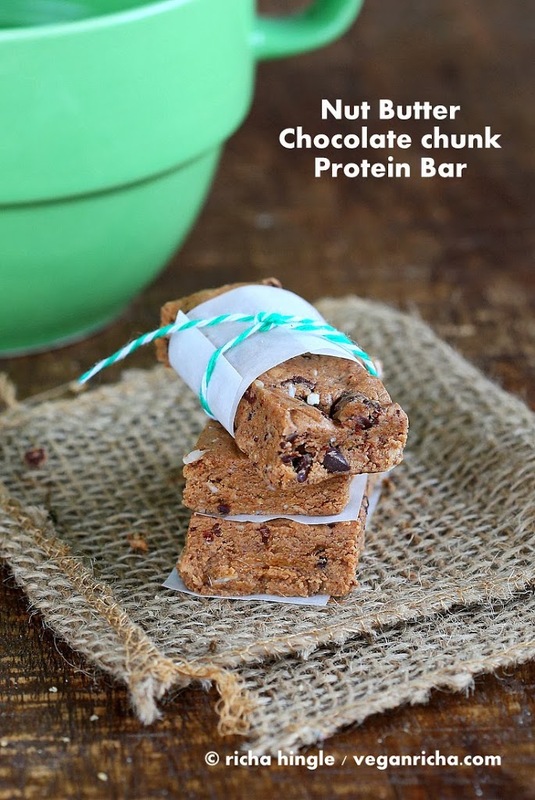 Would love to try something different though – I’m going to make the bars this weekend. Thank you!